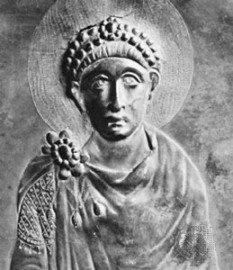 The next important emperor of Rome was Theodosius I (347 A.D. – 395 A.D.) In 380, Theodosisu I, along with Gratian and Valentinian II published the Edict of Thessalonica which made Nicene Christianity (Nicene from the creed Constantine made) the official state religion of the Roman Empire. The Edict of Thessalonica also criminalized all other forms of Christianity. This lead to the use of capital punishment of non-Nicene Christians. This caused true Christianity to be even more diminished. In 382, the Council of Rome first officially determined what were the acceptable books of the Bible. This list was called the Biblical Canon. In 391, Jerome translated the Bible into Latin. This translation was know as Jerome’s Latin Vulgate which I have discussed several times in previous articles. The King James Bible was translated from this Latin Vulgate instead of the original Greek and Hebrew, giving many mistranslations. Leo I (400 A.D. – 461 A.D.) was an intimidating bishop who wanted to be “Lord of the Whole Church.” He declared that any resistance would result in being condemned to eternal hell. Note that the papacy has still not been established. At this time, there were still several bishops who split the authority of the church. In 451, the Council of Chalcedon denied Leo’s request, and there was still no pope. In my article For Ever – a Mistranslation, I proved that the Greek word aion does not mean eternal. Also the Latin words speculum and aeternum from Jerome’s Latin Vulgate both have double meanings of “unending time” and “a period of time.” St. Augustine failed to understand this. It is very likely that Leo I picked up on St. Augustine’s teaching of eternal hell and used it to intimidate the government. Note that this is the FIRST TIME in history where the concept of an eternal hell was established, about 380 years after Jesus’ death. No Christian teachings before this time said this. There is a big controversy over this letter. Catholics argue that just because Gregory said this, it does not mean he was not the pope. But why would he call the pope the anti-Christ if he was the pope himself? Remember that Catholics argue that St. Peter was the first pope. Their main source to argue this is the document called the “Donation of Constantine” which is in our next topic. The first real pope was Boniface III who coerced the Emperor, Phocas, to give him the title of Universal Bishop, papa, or pope. Although his birth is unknown, he died on November 12, 607 A.D., only nine months after his reign as pope began. However, there was still resistance to the pope having such great authority until around the 9th century. It was around this time that documents known today as the pseudo-Isidorean Decretals appeared. These documents were the most extensive and influential set of forgeries found in Catholicism. 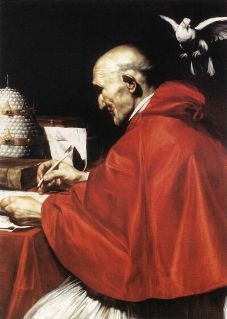 They contained fictitious letters written by bishops from Clement I (1st century) all the way to Gregory I. They aimed to defend the power of the pope all the way back to the time of Jesus. The worst document was the Donation of Constantine. This document said that Constantine I supposedly transferred authority over Rome and the western part of the Roman Empire to the pope. This gave the pope reign over lands in Judea, Greece, Asia, Thrace, Africa, and Italy. They even extended the lie by claiming that the papacy were divinely ordained from Jesus Christ. These documents worked because of the increasing power the bishops were having since Constantine. So the pope had great power because of these documents for centuries which gave great credibility to Catholicism. It was not until 1440, when a Catholic priest named Lorenzo Valla proved that the Donation of Constantine was forged in his book: De falso credita et ementita Constantini donatione declamatio. The evidence included language that was inappropriate for the times they were supposedly written, and also, inconsistent dates. However, Valla’s book was placed on the list of banned books, so the Donation was still considered correct. Then in 1588, Caesar Baronius published Annales Ecclesiastici which finally admitted the Donation was a forgery. It was eventually found that the documents had been completed by 847-852 A.D. and that the forgers worked in the ecclesiastical province of Reims, France. There is some evidence to suggest that an abbot of Corbie, Paschasius Radbertus, was one of the people involved, but the identities of all the forgers are still unknown. It is clear, however, that the main editor was very intelligent and knowledgeable for his time.